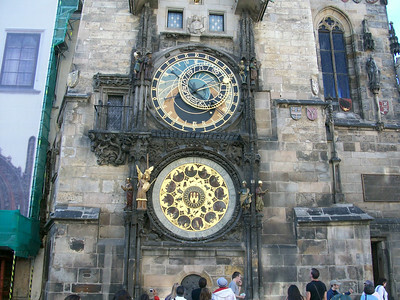 The famous 15th century astronomical clock on the Town Hall building in Old Town Square (Prague). 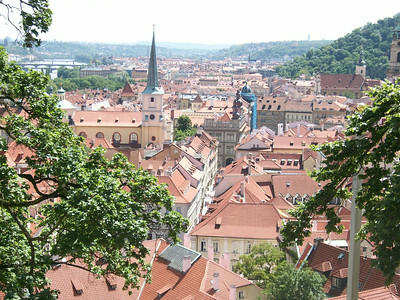 Panoramic view of Old Town Square in Prague. 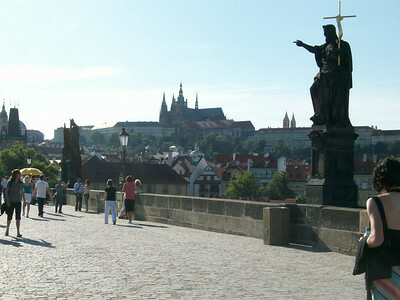 Statue of St. John the Baptist (1857) on the Charles Bridge (built in 1357); crosses the Vltava River and connects Old Town with Prague Castle. 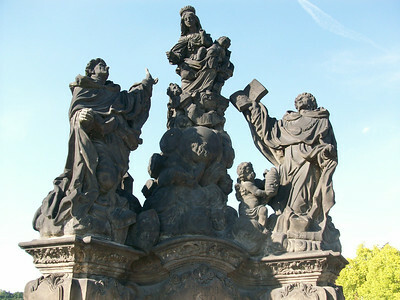 Statue of the Madonna, St. Dominic and St. Thomas (1708) on the Charles Bridge in Prague. 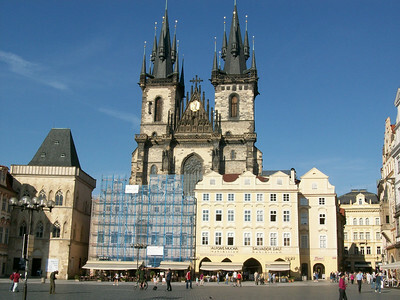 The 14th century Church of Our Lady Before Tyn dominates the East side of Old Town Square in Prague. 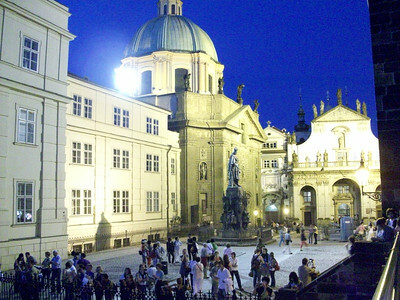 Old Town Square in Prague at night. 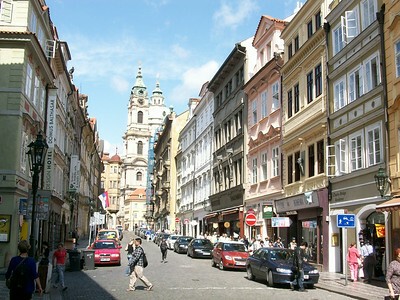 A commercial district in Prague. 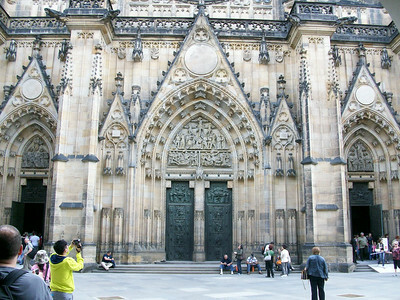 The massive 14th century St. Vitas Cathedral dominates Prague Castle. Inside the 14th century St. Vitas Cathedral in Prague Castle. 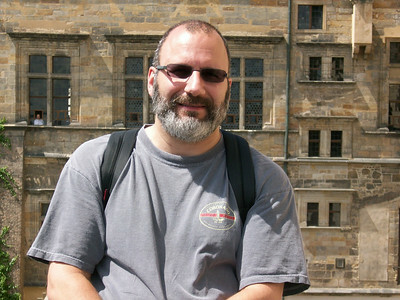 The cathedral contains the crown jewels as well as the tomb of King Wenceslas. 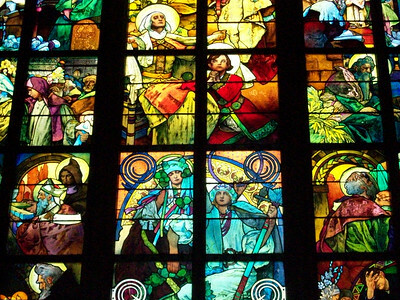 Stained glass windows inside St. Vitas Cathedral in Prague Castle. 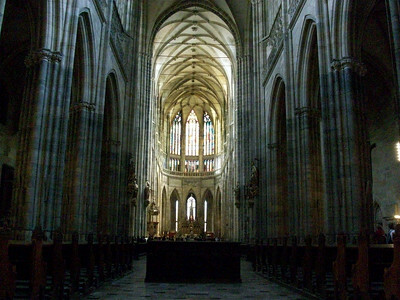 Panoramic view of the inside of Prague Castle, including the towering St. Vitas Cathedral. 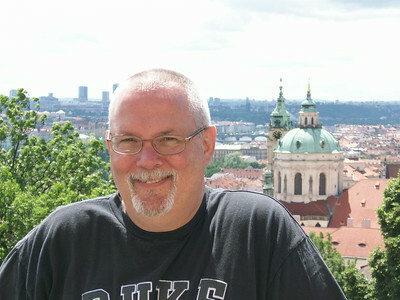 Ed outside Prague Castle with Old Town Prague in the background. 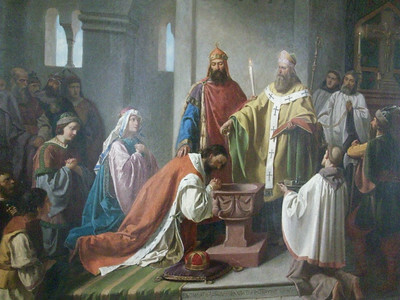 Unidentified painting of King Wenceslas in the National Picture Gallery in Prague Castle. 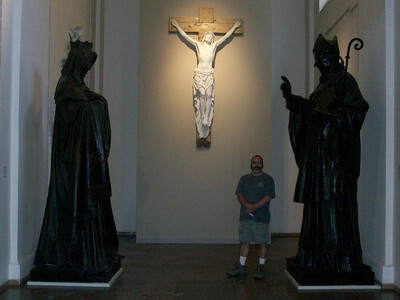 Inside the Royal Palace at Prague Castle. 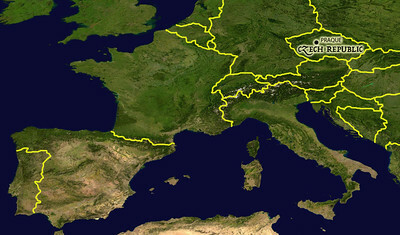 The Little Quarter Riverside district of Prague.